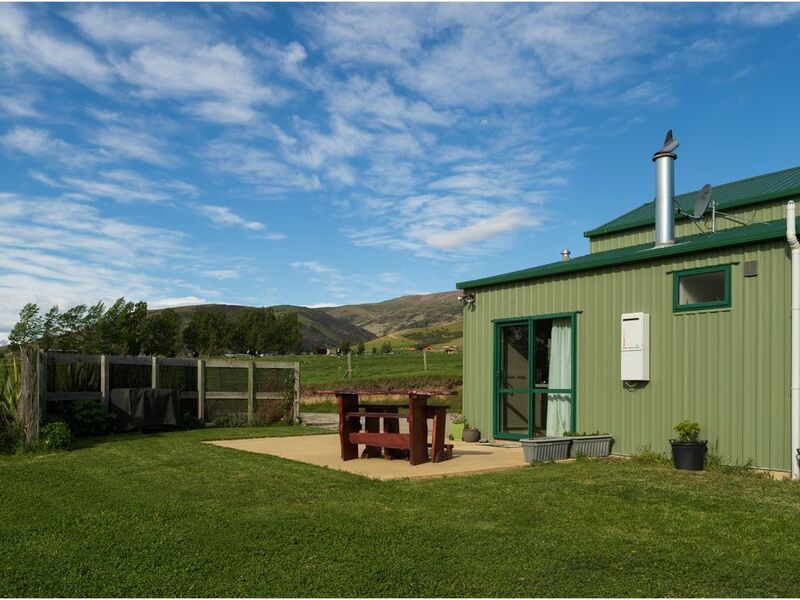 This cosy cottage is located on a lifestyle block only 30 minutes drive from Wanaka. Enjoy the stunning mountain views, and relax in this peaceful setting. There are walking tracks nearby and there is easy access to the Lindis River and Lake Dunstan nearby for fishing. The property has only been built in the last couple of years so there may be landscaping around the house and cottage. There are chickens, cattle and other livestock on the property. We expect guests to respect the space we provide for them. We expect the guests to be quiet between 10:30pm and 8am as we work during the day. We work hard to keep the cottage and surrounds neat and tidy, we would appreciate the guests do the same. The location isn't really Luggate as described on the website - its actually closer to Tarras and well out in the countryside so a car would be essential. Its about a 40min drive to Wanaka and is a beautiful spot with great views. Full kitchen but its fairly tightly spaced so one cook only. Lounge has no windows but there are good views from the kitchen and both bedrooms. Beds were comfortable and lots of hot water in the bathroom. Lovely accommodation with stunning views and a beautiful starry sky at night. Lovely accommodation with stunning views and a beautiful starry sky at night. Very comfortable. A beautiful setting and amazing sky for star watching. A beautiful setting and amazing sky for star watching. Enjoyed eating outside with a view. Thank you! The location was superb - panoramic views of the beautiful countryside and the cottage had everything you could need. We would recommend staying here to our friends and family. Bricolage was just perfect, cozy and close to all the outdoor adventures we had planned for our trip. We loved our stay and would have happily stayed longer.